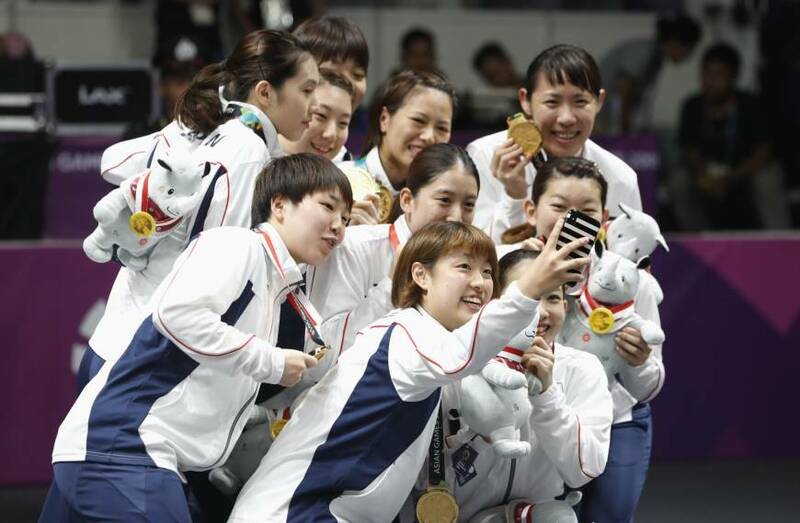 JAKARTA - The Japan women’s badminton team won gold at the Asian Games for the first time since 1970, beating China 3-1 in the final on Wednesday. Singles world No. 2 Akane Yamaguchi’s nightmare tournament continued into the final, with the 21-year-old again dropping the first rubber of the tie as she did in the semifinals and quarterfinals. This time it was China’s Chen Yufei who proved too tough, beating Yamaguchi 21-15, 21-12. With Japan in a one-match hole, it fell to Yuki Fukushima and Sayaka Hirota to even the match. The world’s top-ranked doubles team beat China’s most highly-rated pairing of Chen Qingchen and Jia Yifan in straight games (21-12, 21-17). Facing off against He Bingjiao, and needing three games to put Japan into the lead, Nozomi Okuhara took down the 2018 World Championships singles bronze medalist in three games, 21-16, 19-21, 21-15. With Japan needing just one more win to clinch gold, it fell to the Misaki Matsutomo-Ayaka Takahashi combination to close it out. They did just that, beating Huang Dongping and Zheng Yu in straight games (21-16, 21-11). “China’s our biggest rival and I am extremely pleased to win this,” Takahashi told reporters after the match. Japan head coach Park Joo-bong said it was a “combination of offense and defense” that allowed his players to get many points near the net. But he added Japan should not rest on the laurels of the team’s historic victory and instead double its efforts toward the 2020 Tokyo Olympics. 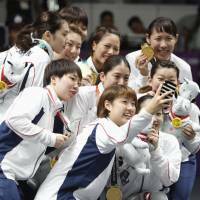 Yamaguchi, who in the spring became the first Japanese ever to stand atop the world badminton singles rankings, however, rued her own poor performance.